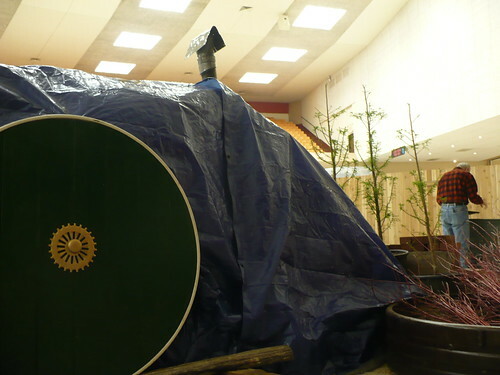 Just a couple more pictures to whet your taste to come to the show! Yikes that’s a lot of plants! I wonder where they are going to go? 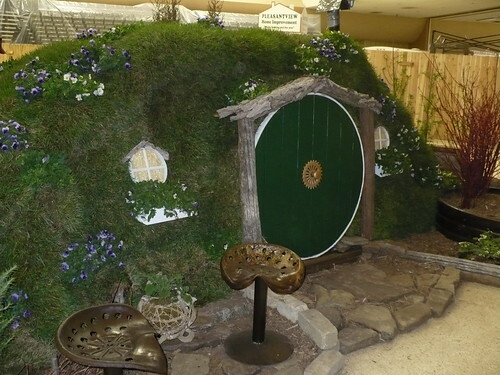 The front of the Hobbit House….not quite done yet, but we’re making progress! 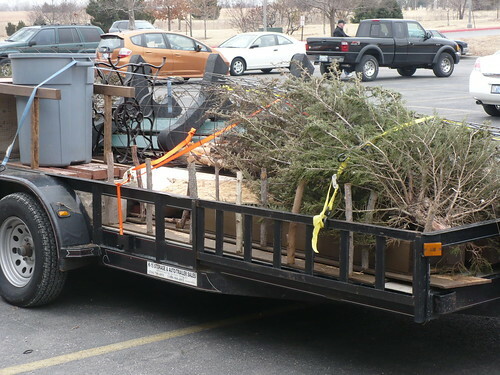 We’ve got almost everything loaded for the Wichita Garden Show. It remains to be seen if we can make such a motley collection of junk look like anything worth paying to see! 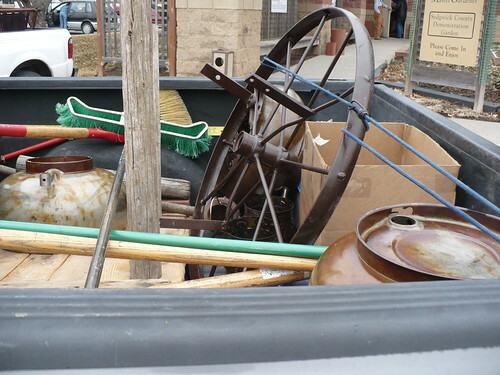 One truck load of random junk…. 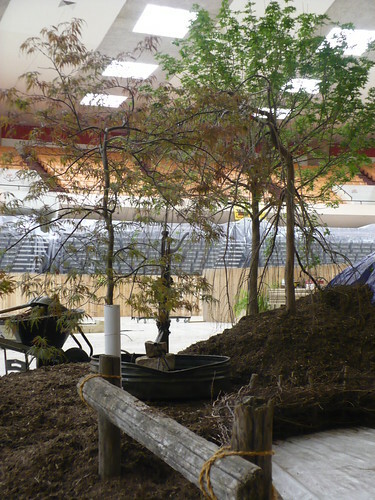 Yes, those are cedar trees, random boards and sticks, and more! I’ll try to post some pictures of the garden as things take shape next week. Don’t hold your breath, but I’ll try! 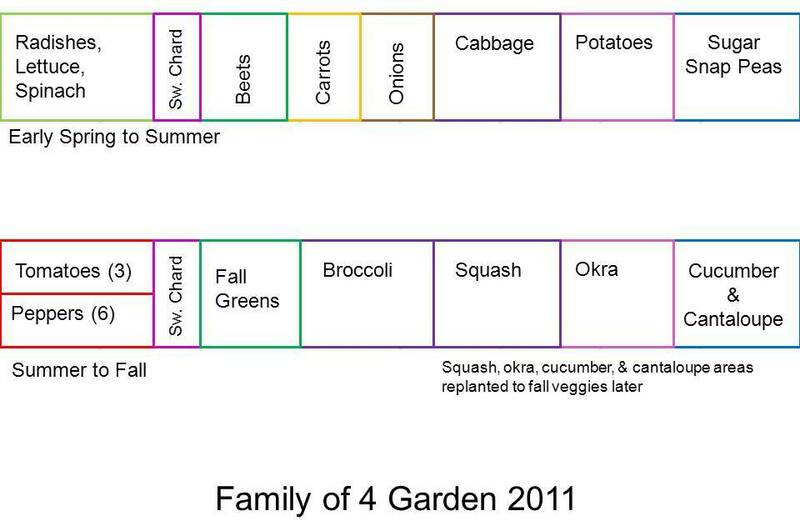 This will be our 3rd year with the Family of 4 Garden, and I think it is going to look very different this year! It will be interesting to see how our financial tally turns out. 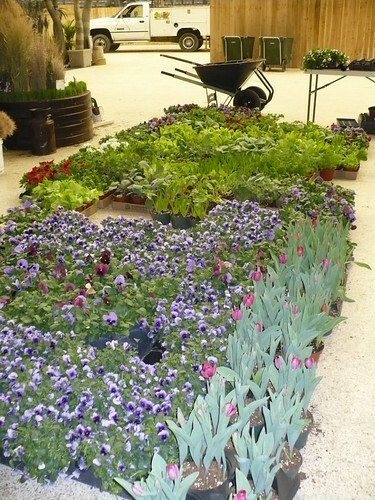 We are doing a lot of early spring planting this year! We’re going to have the typical spring veggies, as well as chard (again), beets, carrots, onions, cabbage, and potatoes. We’re putting sugar snap peas on another one of those trellises. 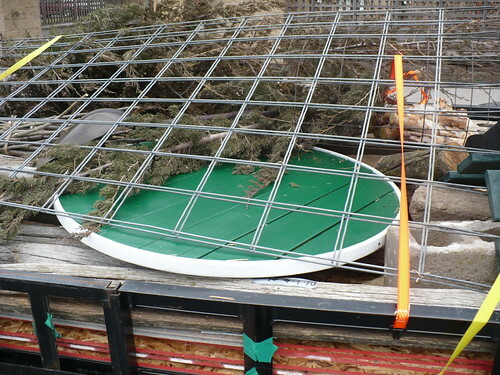 Then, when all the spring vegetables are done, we’ll be planting summer crops. 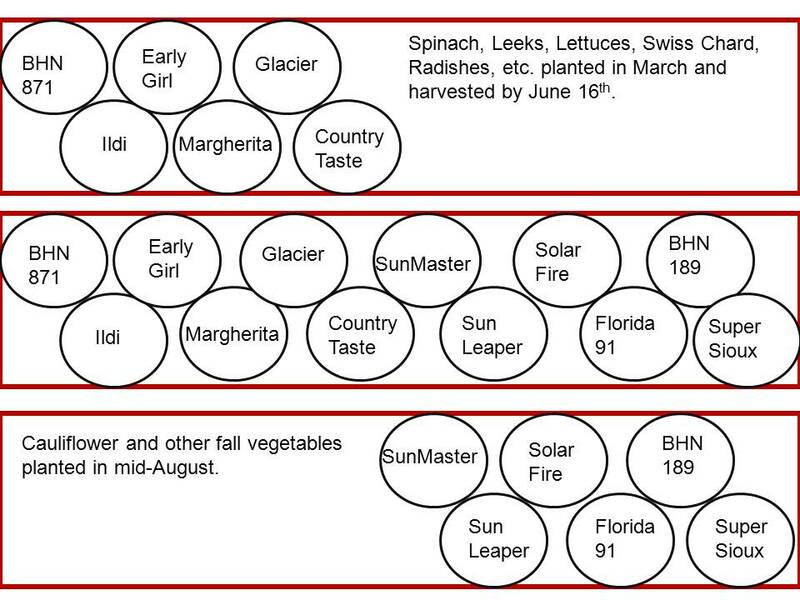 Some of the summer vegetables will probably be planted significantly later than the earliest possible date, but that’s okay too. Continuing the theme of the vertical garden, we’ll be planting cucumbers and cantaloupe on the trellis after the peas are done.